A stage and film actor, born in 1967. Graduated from the Academy of Dramatic Arts in Wrocław. He is recognized as one of the best Polish actors of his generation. He was twice a winner of the award for the best actor at the Polish Film Festival in Gdynia and four time received Polish Film Award “Eagle”. He has also been repeatedly honored by audiences and critics abroad. 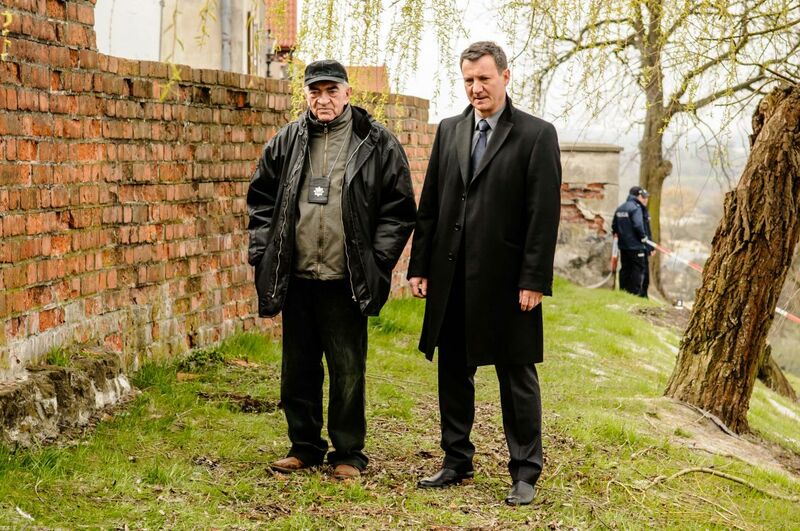 In 'A Grain of Truth' by Borys Lankosz he plays the main character, Prosecutor Szacki. How was your work on the set with Borys Lankosz and Łukasz Bielan – the film camera man? Robert Więckiewicz: One of the major arguments in favor of taking the role of Szacki, was an opportunity to work with Borys Lankosz and Łukasz Bielan. This was my first professional encounter with them. Nevertheless, we very quickly found a common language and a common vision of my character. I saw a previous film by Borys Lankosz, that made a huge impression on me, and I wanted to meet with him at work. About Łukasz Bielan I heard a lot of good things and I was interested in his American experience. Borys is a very delicate person on the set, I would say he is sensual, yet precise and specific. He also leaves some space for the actors, which I personally prefer. His commitment is motivating for the whole team. Łukasz is like a machine that – you get the impression - never stops. He is constantly on the move, with new ideas emerging every second. It was fascinating to watch them cooperate and see how they complemented each other. What are your personal thoughts on Teodor Szacki? Which features of him do you like and which you absolutely cannot accept? Szacki is so interesting because he is a controversial person. Some people love him, but others are irritated and annoyed by him. I like his indifference and impertinence. I envy his efficiency and in flexibility. I admire his intelligence and confidence. Perhaps he could be sometimes a little nicer, especially towards animals. What were the greatest challenges on the set? There are some brutal scenes in the film, such as for example with dogs attacking Szacki.What did they look like in making? These scenes were really exciting and quite dangerous. Fortunately, in the scenes in which Szacki struggles with generally nice, but terribly strong dogs that were playing bloodthirsty beasts, I was replaced by a stuntman.